If you are looking just a for a small job done to update something in your bathroom then you have to the right place! We know that at times you just need the little details tended to, but you don’t want to spend top dollar in getting a full remodeling service. Especially when you know that you won’t be spending too much more time in your current home. Even though your time there may be short there is no need to put up with leaky faucets and old toilets! Getting these fixed or new ones is a quick and budget-friendly job that can help you ride out the last couple of years you will spend in a home or until you are looking for full modern remodeling! Just like in kitchens faucets can begin to show signs of overall use after a couple of years of service. Faucets and sinks can begin to leak due to many factors. At times the pipeline isn’t as tight as it once was and we just need to come in and tighten things up to make sure you won’t have those issues anymore. Other times they can also break or crack and obviously begin to leak or burst out like a fountain depending on the severity of the issue. In these cases, we will come and asses the situation and recommend that we either repair the existing facilities or replace them. Either way, it is relatively a quick process and you will have your bathroom back to normal within a couple of hours! We still can’t figure out why some people insist on keeping their decade-old shower head that just doesn’t work as well as it did back in the day. Whenever you decide to finally allow your old shower installations to retire we will be ready and only a phone call away to come in and switch out your current shower system with a brand new one. We can do this without altering your shower experience at all and you will be able to try out your new shower within hours of our installation! Out of all objects that make up a bathroom this can usually give you the most real problems. That is not because it can break down more frequently than other systems in your bathroom though. The fact that toilets handle wastes makes them very delicate machines. You can live with a broken shower for weeks or months, but a broken toilet … good luck! We can come in and replace or fix your toilet quickly so you can get some peace of mind back when you go in to do your personal business. 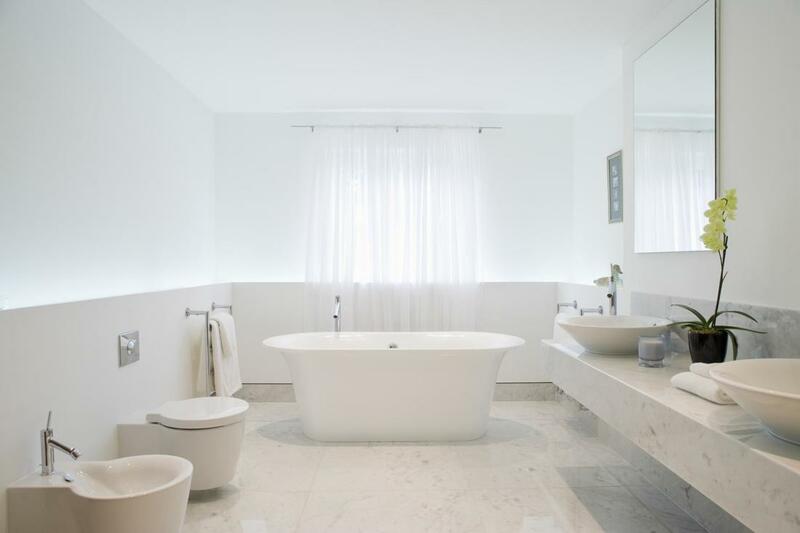 When it comes to bathrooms we can handle anything from floors to showers, to tubs! If you need any of these installed or repaired call or contact us today to set up an appointment. We can handle any bathroom renovation tampa fl, residents may need!